Full Sun Farm is a small family farm located in the beautiful Big Sandy Mush valley of Western North Carolina, just outside of Asheville, NC. 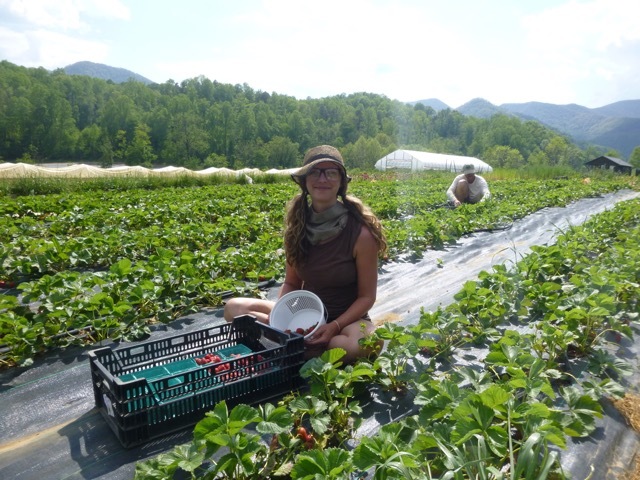 We grow a variety of vegetables, cut flowers and berries on 5 acres and in several greenhouses and high tunnels. We use organic methods. For the past 20 years, we have sold our produce, berries and cut flowers at local farmer's markets and through our CSA. We are committed to working towards sustainability on the farm. This commitment includes not only our production methods but also investing in solar power generation, using biodiesel in our tractors, treating our apprentices respectfully with a reasonable work day, comfortable housing and fair compensation, and working to grow our business not by growing bigger but by growing smarter. 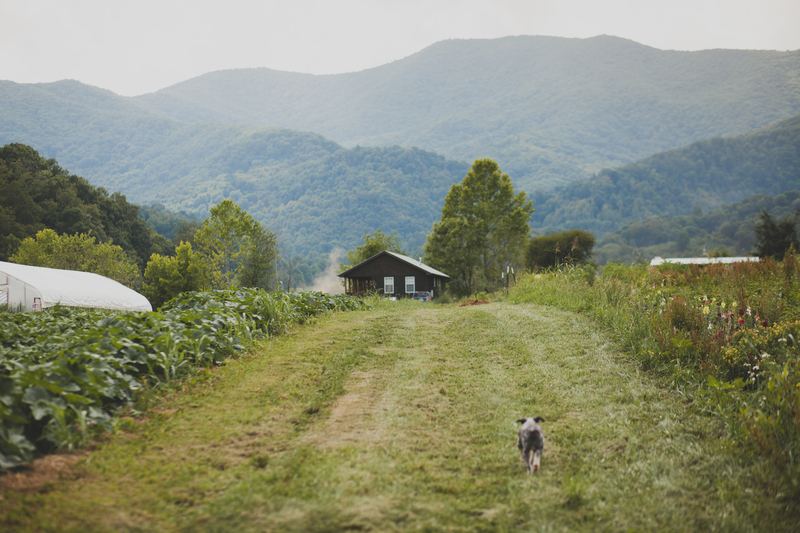 We offer our produce at the North Asheville Tailgate Market, the River Arts District Farmers Market and through our CSA. We also offer flowers by the bucket and pick your own flowers from the farm. We have 4 interns per year on the farm and are currently looking for 4 interns to work from the beginning of March or April, until November with some flexibility on end dates. If it’s the right fit, there is an option to apply for a second year apprentice position. Apprentices do all the work we do, and in the process of all that work, they can expect to learn about greenhouse operation, variety selection, soil preparation and care, planting techniques, fertilizer application methods, cover cropping, weed control, pest management, irrigation methods, harvest skills and methods, marketing skills and equipment needs, care and use. We give instructions as we go and try to explain the hows and why along the way. We also do weekly field walks to practice the very important farmerly skill of observation. On these walks, we discuss how the crops are growing and get a sense of the work plan for the coming week. We work a total of 5 days a week. Sundays are off, and interns get either Wednesday afternoon or all day Saturday off. The day starts at 7 or 7:30 and ends at 5:30pm, with two hours for lunch. Each weekday, excluding Wednesdays, we take turns preparing a shared lunch. A typical week looks something like this; Mondays and Thursdays are fieldwork days. Tuesdays and Fridays are harvest days. Wednesday is a long day of fieldwork, harvesting and going to market. Saturday starts early packing the van for market and ends around 12:30 when the market ends and the van is reloaded to return home. Sunday is a rest day! We offer housing in cabins with shared kitchen, common room and bathroom, food from the farm, week day lunch. Stipend starts at $600/month with $25/month raise. Apprentices get a week's paid vacation and 10% of sales when we take our vacation. End of the season bonus (floods, droughts and other disasters permitting) and a case of beer for record market days. We do weekly field walks, have a good farm library, pay for CRAFT membership for all the interns and encourage participation in those awesome events! The farm is in an incredibly beautiful agricultural valley, with lots of opportunities for hiking. Asheville and all it offers is 45 minutes away. You will need a car. Apprentices should enjoy physical work and being outside all day in all kinds of weather. It is not necessary to have previous experience in farming, but a real interest in having farming somewhere in your future helps sustain apprentices through the hot days of August to the glorious days of autumn. Apprentices who are positive, self-motivated, pay attention to detail, who can work quickly, alone and in groups and are engaged enough to ask questions will get the most out of the apprenticeship. You will need your own transportation. To inquire about employment opportunities, please contact us by between December and March visit our website for further information. This farm has reported that they are no longer hiring for the 2017 growing season. Please check back winter 2017 for next years' opportunities. “I went to Full Sun with very limited experience, but left feeling confident that I learned what I would need to have a successful farming business. Though I did not end up starting my own farm, what I learned at Full Sun helped me during my time as a school garden coordinator, graduate student, and continues to help me in my current position as an advocate for farmland protection and agricultural conservation. I've been complimented on my knowledge by extension agents and professors of agronomy who were surprised that my undergraduate degree was in political science! Compared to other opportunities I saw, Full Sun offered great compensation--including lovely housing, access to lots of conferences and learning opportunities, and reasonable hours. Especially as a returning apprentice, I received hands-on training on all aspects of the farm including management and planting decisions. Vanessa and Alex were always willing to answer questions, and considering all of the mistakes I made were fairly patient with me. I appreciated that by the time I was at Full Sun, the farm was so well established and most systems on the farm were really organized -- I am sure this is even more the case today. I would highly recommend Full Sun to any apprentice. We have "working share members” in our CSA program. We also participate in local farm tours and are open by appointment. We host a farm party for our CSA members.